On Sale Now! 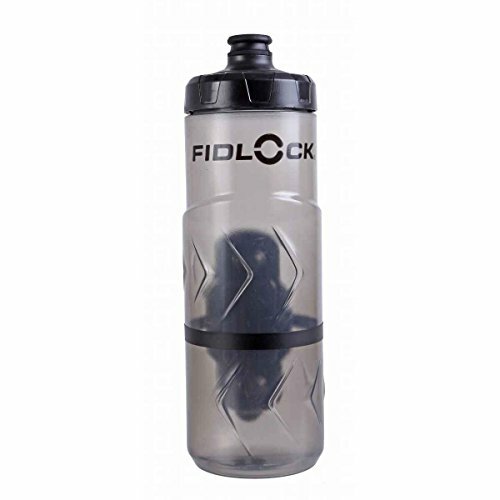 Save 10% on the Fidlock Bottle Twist with Gravity Kit Bike Water Bottle Cage, Translucent Black by Fidlock at Joes V Cycle. MPN: FL-09609. Hurry! Limited time offer. Offer valid only while supplies last. The bottle twist was specifically engineered to replace traditional bottles/cages and to take up as little space in the bike frame as possible. The bottle twist was specifically engineered to replace traditional bottles/cages and to take up as little space in the bike frame as possible. Thanks to its minimalist design, the bottle twist can fit even the tightest frame clearances. The bottle twist mounts directly into your existing screw holes in your frame but is suitable for any location on the bike (handlebar, under saddle, etc...) with the use of an adapter (not included). the bottle twist is more secure than a traditional bottle/cage combo so say goodbye to lost bottles on rough trails. Despite the added security, this system is still quicker, easier, and more convenient than a traditional bottle and cage. It's durable and reliable enough for enduro racing yet so convenient it will also satisfy road and city riders. This set includes everything you'll need - the bottle, the adapter (cage), and install screws. If you have any questions about this product by Fidlock, contact us by completing and submitting the form below. If you are looking for a specif part number, please include it with your message.